You can use the software to connect the WT3000E series to a PC and use the following features. Retrieve, display, and save data that the WT3000E has measured and setup parameters. You can use the software to control a single WT3000E that is connected to the PC. Do not connect multiple WT3000E's to the PC. As well as using the WT3000E series front panel to set up the power meter, users can use the software to quickly set up your favorite conditions. It also shows all the setting parameters and the status at a glance. In particular, you can set up the range-skip function (range-configuation setting) and specift the maximum order used for the THD calculation. 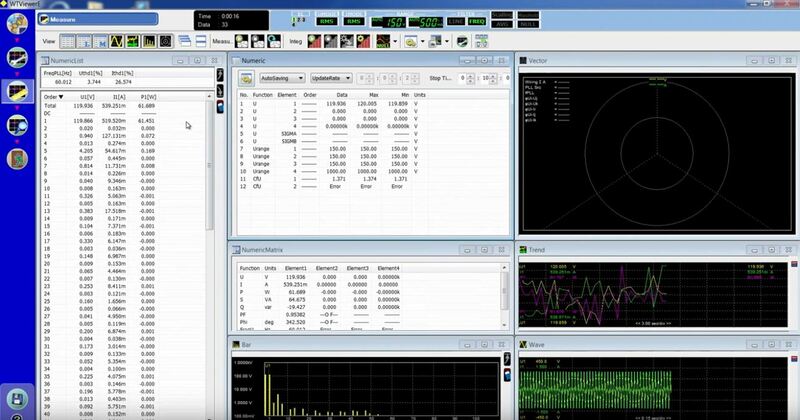 The software can display items which cannot be shown on the display of the WT3000E series, such as multiple numeric measurement parameters, the harmonics data of each other, bar grapgs, trend graphs, and voltage & current waveforms together. The free software thus adds additional visible capabilities to the WT3000E series. The software has the following menus. Connection: Used to configure the communication between the WT3000E and PC. Setting: Used to set WT3000E's measurement conditions. (/G6), harmonic measurement data is also displayed. Displays WT3000E's measurement data for each element. Displays waveform display data that has been collected from the WT3000E. 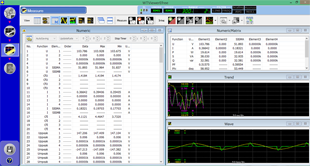 Display harmonic measurement parameters (fundamental components) as vector. Vector can be displayed when the WT3000E equips harmonic measurement option (/G6) and more the 2 sets of same input elements. * /G6option is required on . - The data storage period can be any custom settings (more than 20 seconds) and the data update rate of the body. - Depends on your PC's performance. *When the WT3000E data update interval is shorter than the time it takes for the software to collect one set of measured data, there will be pieces of data that the software will not collect. 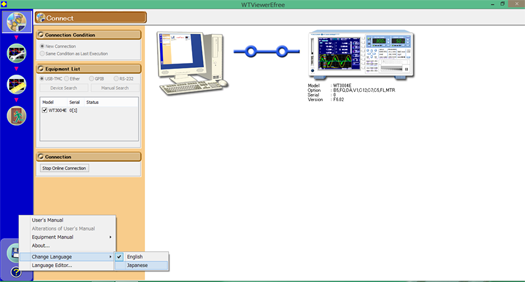 You can use the software to control a single WT3000E that is connected to the PC.